Anyone that has had chicken pox knows it can be very unpleasant. It is caused by the varicella zoster virus and affects people at different degrees. Once the virus has been transmitted you won’t know you have it until you start seeing spots appear. Unfortunately, you become infectious two days prior to this which can be a nuisance and a sneaky way for the virus to ensure it gets itself passed around. How can you Catch Chicken Pox? The spots that develop are full of bacteria and scratching helps to release these, spread the infection and cause scaring. Chicken pox can be caught by just being near someone with the virus either whilst having a face to face conversation or even just being in the same room for about 15 minutes. Touching the blisters or an object the person has been in contact with (that has been contaminated) can also help pass the virus on. Would you believe we had a spate of it in the children’s school and neither of my girls managed to catch it even though we did all of the above. The girls even went to a friends house with the intention of catching the virus so we could get it over and done with – you’ve all heard of chicken pox parties haven’t you, well we were trying a chicken pox playdate. I remember watching the girls actually touching their friends chicken pox and sods law we got nadda, not a blooming sausage, how frustrating! We had even gotten the kids to get extremely close in desperation and still ziltch. Another playdate with a contaminated child eventually resulted in success to my surprise having given up hope. Insane hey, wanting to get a virus but there is method in my madness. As we age our skin loses the ability to heal as well as when we are younger so when those dreaded itchy chicken pox get scratched an adult is more likely to be left with scar tissue. As well as this it’s better to get it out of the way as a child as it won’t cause such a great impact on their school work at the lower levels. It is also suggested that getting chicken pox from someone that is not a family member is better than when it is passed from one sibling to the next it seems the sibling that gets it next will get it worse than the brother or sister that had it initially. I strongly agree with this having seen it progress as it went from one of my children to the next. This is thought to be due to the increased exposure they get as they are in greater contact with siblings than children at school. Another reason why getting this virus is better in childhood is that it result in more serve symptoms in adults. I know some might wonder why we don’t just get children vaccinated to prevent them getting it in the first place. The vaccination is not available on the NHS for healthy children so can cost up to £100 not much in the scheme of things but what is an important factor to consider is that if you get Chicken pox and are then re exposed to the virus later the you get an added boost in your immunity against shingles which trust me you really don’t want! Chicken pox will normally last for 10 to 20 days and during the infectious stage (before the spots form scars) children do not go to school as they can of course infect others and also cause a possible risk to any expectant mothers that they may come in contact with. Treating the itching of chicken pox is super easy and it has become much more refined in this day and age. Gone are the days of slopping the dreaded stinky Calamine Lotion all over your body with the aim to cover all the spots. That was my first go to when my kiddies had it because I had had it as a child but tracking down the stuff proved to be harder than I had initially expected. I then thought I would try going down the natural route and made an oat bath as this has a natural demulcent action (relives inflammation and irritation). The problem with this was getting it to cover the whole body and you had to have the oats in a muslin bag and squeeze this to get the best results which was pretty messy – thankfully it was in the bath. I am aware that some use antihistamines orally to help prevent children scratching especially at night but we didn’t do this. Another product that I discovered was available is Care Virasoothe. This seems to be available everywhere so was the obvious choice. Not only will you find it in Sainsbury’s, Tesco and Asda it is also available in Boots and Lloyds pharmacy. The Care Virasoothe is so much easier to apply than Calamine Lotion as it comes in either gel or spray-gel form and it really does seem to have a cooling effect on the skin and relieve itching so will assist in reducing the chance of scarring. Both forms are easy to apply and are messy free. Now for the science part – don’t worry it’s brief. The product utilises a unique osmotic action – drawing water from the dermis (lower level of the skin) into the epidermis (upper level of the skin) creating a cooling effect as it evaporates. Not only does this relieve the irritation but also protects the skin’s environment, allowing it to heal naturally which can help reduce long-term scarring. It can be used from 6 months of age and is available from Boots, Pharmacies and Supermarkets nationwide. It’s soothing effect has been clinically proven to work which is also good to know. Have you had chicken pox yet? If so what did you use to treat it? Oh my goodness .. I can sure remember when my brother and I were little and the chicken pox went around our school. It was awful. Yep, my mom broke out the Calamine lotion and we looked like we’d been painted with pink polka dots. Plus, I remember it rubbed off on everything we touched. I’m so glad there’s a better solution! It does seem to make the rounds a few times each year in some cases at school. My little boy has had chicken pox and scarlet fever this year. He was really lucky with chicken pox, despite having lots of spots, he didn’t have any itching at all so we didn’t use any creams. We haven’t planned our summer hols yet but hope to have a (sunny!) UK holiday. Oh dear it sounds like you have had a tough time. Glad to hear he didn’t get that awful itch though. Good idea it’s handy to have. My daughter had chickenpox when she was little then got shingles when she was about 10 – certainly no fun. Hopefully it won’t come back again because it’s really painful. Poor little thing, that was very unlucky. Chicken pox is so horrible for kids! My poor daughter caught it twice in one year. That was unlucky, poor little thing. Great post. My 2 little Witches haven’t had chicken pox yet, so thanks for the advice. I was hoping they had it before starting Nursery. My son is 16 and has never had chicken pox. My partner got them in his 30’s!! This sounds like a great reliever for those suffering from chicken pox, it really is a horrid illness. It is a nuisance especially when the children get it. It sure is although I wish my eldest had it earlier. It can be quite bad when adults get it which is why mums tend to get the kids together so they get it when young. Oh no. I hope that you did and didn’t realise. Some can get a very mild version of this with just a few spots and not realise although it doesn’t happen often. Oh man I remember getting chicken pox as a kid and it was so awful. It isn’t pleasant but good to have it over with. I’ve never had chicken pox and neither have the kids yet but I’ll definitely be picking up some Virasoothe just to have on hand. Thanks so much for the great advice. No problem, hope the kids get it over with soon. I think that you will have had it then most do as a child. 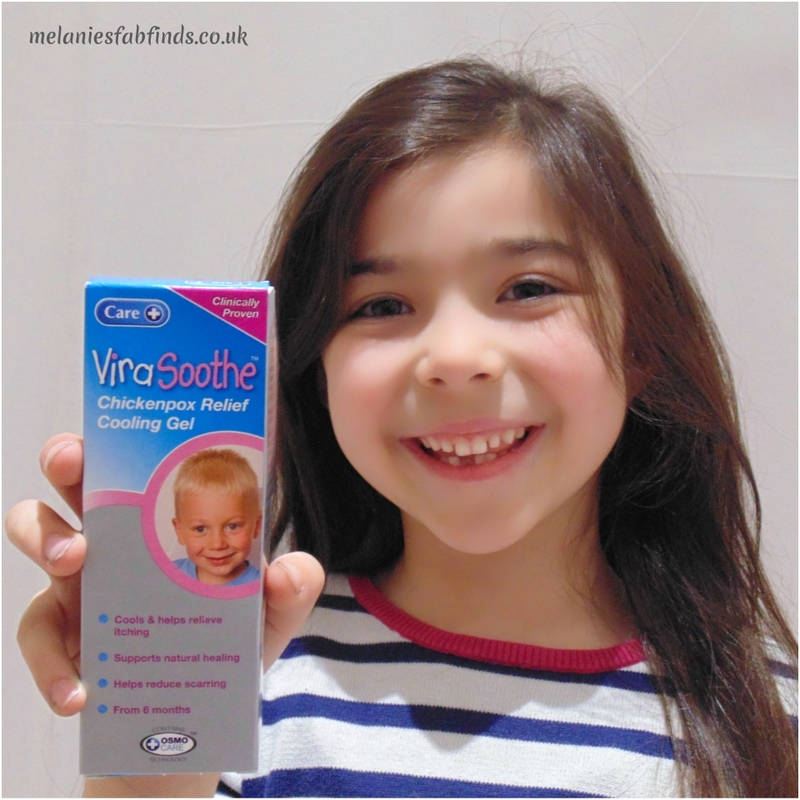 The Care Virasoothe is a great addition to the treatments available for soothing the itch of chicken pox. Good luck with that. Hope Sebby catches it and gets it out of the way Kara. It is horrible isn’t it not being able to soothe the itch from the spots. It is horrible and it varies in intensity from child to child too. I haven’t heard about Vira Soothe before, going to make a mental memo of it for when I have children. Wonder whether it would also help for soothe for itchy bites as well. I have never had the chicken pox and my kids haven’t either. My husband had it as a child and he said it was bad. I don’t know how I was lucky enough to never get it as a child. It does sound painful and the urge to not scratch is strong, but I know it is not good to scratch. It really isn’t pleasant, I hope you don’t ever get it as an adult. 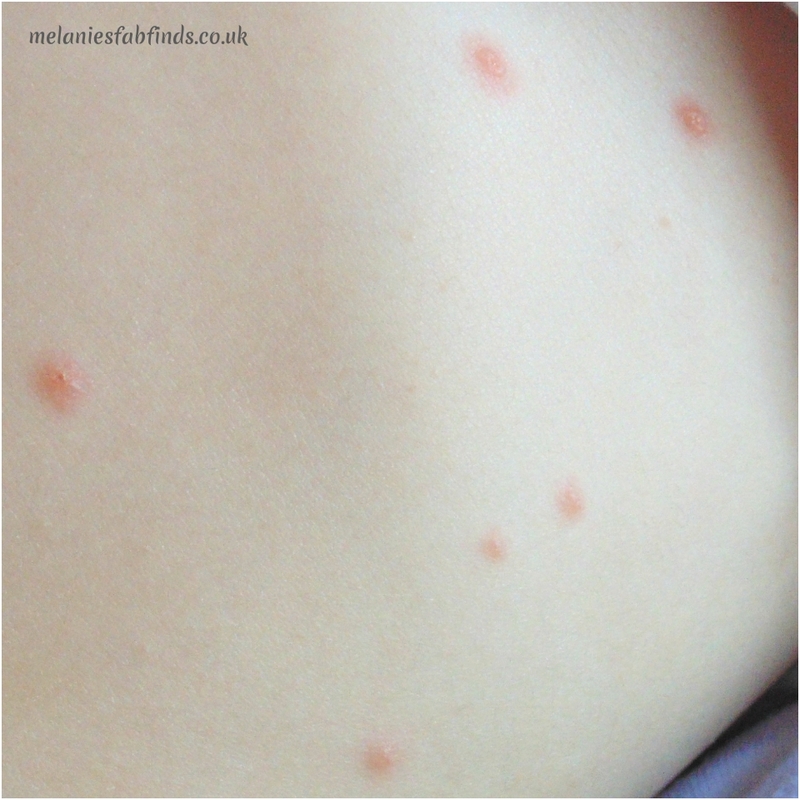 I remember having chicken pox when I was about 7… it was horrible and so itchy! That itch is a nightmare and hard to resist. I hated the calamine that was not fun to use. Thanks, it really isn’t nice to have. I got chicken pox a week after my first birthday, so was very small, even ended up in hospital. But glad it’s over and done with. I still have faint marks but hopefully they will disappear over the years. We’ve heard of Chicken Pox Parties too! Lol I think most do the chicken pox parties it can work well. It is a good one and easy to use and not messy. OH I remember this well! Having twins with Chickenpox was no fun, and I almost bought shares in calamine lotion! This gel looks like a great idea, and anything that helps is a bonus!! I can imagine, having any number of children with it isn’t nice. They sure have improved since then. It must be horrible seeing your child go through chicken pox. I was only two when I got it so I don’t remember, thank god. Glad you have had it. It’s good to get it out of the way. I’ve never heard of this, it was just camomile lotion when my lad had them. I only caught it once which was really lucky. It sure is as it isn’t fun! That’s good they had it together, most just get it once so it’s nice to have it over with. That would have been so handy for us when Jack had chickenpox a couple of months ago! Oh wow just missed out on it. Hope it wasn’t too severe. Good luck. It is best to have it as a child and the Virasoothe will help a lot. It’s horrible isn’t it and you can’t help but scratch. Thankfully neither I nor my kiddos have had chicken pox’s but I’ll keep this in mind. Oh wow well hopefully you won’t but at least you know what you can use if you do. I’ve been vaccinated as a child so let’s hope the vaccine will last a lifetime. I do hope so it’s not nice to get it. Thanks for all the advice and information. I didn’t know that chicken pox was more likely to scar the older you get it. It’s interesting that a lot of people (most?) have at least one chicken pox scar somewhere visible, but we’re so used to seeing them that we accept it; I love that and I think it shows how important visibility is in the normalisation of “imperfections”. The skin looses it’s ability to heal quite so well as we age although if you pick a spot there is always a risk of scarring not matter your age. It’s awful isn’t it. Wow twice as a child, that really couldn’t have been fun. The oat bath sounds a great idea. But the virasoothe sounds good too. The latter is far less messy. Oh dear I do hope they get it out of the way. You will probably prefer this product much more than the calamine lotion. I know, it’s a nightmare. Chicken pox isn’t fun. The ViraSoothe sounds great, much better than the traditional calamine lotion of my day! It does seem to be much better which is great for parents to know. The gel is so much easier to apply, hope he gets it out of the way soon. Aaahhh it will probably go around again it does quite a few times in nursery. Glad to have helped. Never heard of this product before and I love the fact there is more to help children with chicken pox. Me too. It was very limited when I was little. Interesting article. Still waiting for my youngest two to catch chicken pox. Sooner rather than later! It is good to be aware of useful products.